Often viewed strictly as an entry-level and value-oriented brand, Palomino pop-ups have struggled over the years to get traction and respect from the core truck camper marketplace. In short, Palomino was the brand that people turned to for cheap truck campers, used for weekend hunting and fishing trips, and with minimal expectation for product quality or longevity. Well, that tired old stigma needs to be thrown out, right now. In concert with their vacuum bonded sidewalls and roof construction, Palomino made a remarkably competitive advance with their 2014 pop-up redesign. 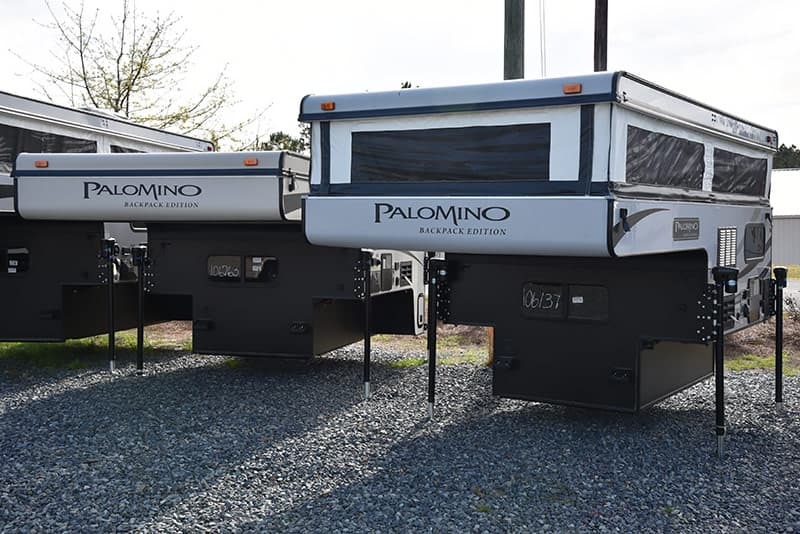 For the past two years, Palomino pop-up truck campers have no longer just been entry-level units, but campers ready to compare feature-for-feature, quality-for-quality, with any RV manufacturer on the market. To be clear, we found no significant quality control issues on the SS-550 under review. Not one. That doesn’t mean the Palomino SS-550 is perfect. The unit under review had a few signs of a camper that was built by a production line eager to move units out the door. Specifically, there were a handful of seams that didn’t quite line up and materials that could have been more carefully handled and placed. Maybe had the production line slowed just a little, these items could be given a touch more attention sending Palomino campers into an even higher quality category. Then again, slowing down may also increase their prices. Always trade offs. For the pop-up truck camper buyer who doesn’t need a bathroom and wants to match his camper with a half-ton, short bed, four door truck, the Palomino SS-550 should be on his must-see list. There are more luxurious, more refined, and lighter weight pop-up models on the market, but few offer a better value than the SS-550. Warranty: One year bumper-to-bumper. Individual appliances have their own warranties. Please be sure to balance your gathered feedback across multiple sources including direct correspondence with the truck camper manufacturers and your closest truck camper dealers. Click here if you are new to truck campers.